The Public Relations Officer of Charterhouse, George Quaye, has jumped to the defence of actor John Dumelo, one of the two MCs for the 19th edition of the Ghana Music Awards. His comments follow the assertion by President of the Creative Arts Council, Mark Okraku-Mantey that John Dumelo and Berla Mundi were abysmal on the night. George Quaye disagreed and rather commended the two for their performance. On Joy FM’s Showbiz A-Z with Naa Ashorkor on Saturday, the PRO pointed out that the actor was not brought in as an expert in emceeing but to offer support to the lead MC, Berla Mundi. “The selection of John Dumelo was not based on he being a renowned MC, that we all know…It was to balance…create a nice pair for Berla Mundi,” he stated. George Quaye noted that the actor did not commit any errors on the night and he delivered satisfactorily. “Let us commend the young man. Did he commit any error? If you ask me, No. Was he overly fantastic? No. Did we really expect him to be overly fantastic? No. Did he deliver what he was hired to deliver? If you ask me, I will say he did,” he said. “The gentleman sang, he rapped. A year before that is what Naa Ashorkor did. That is one of the things people commended Naa Ashorkor for. John rapped, he did the formation dance…,” George Quaye continued. 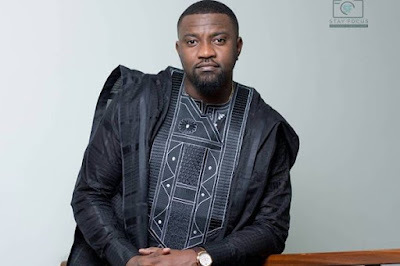 The PRO of Charterhouse believes that the critics of John Dumelo as host of the Ghana Music Awards may have been judging him by their preconceived impressions of him. Meanwhile, media personalities, Nana Aba Anamoah and Michael Oti Adjei have lambasted Mark Okraku-Mantey for his comments about the two MCs.